Sign up nowSign-up using the form or call us at (386) 454-1001 to take advantage of this exclusive offer. High Springs Animal Hospital is a full-service facility providing veterinary care for small and large animals in the High Springs area since 1981. Our experienced veterinary practitioners and staff are dedicated to meeting all of the veterinary health needs of our patients, as well as maintaining a positive presence in the community. The practitioners and staff of High Springs Aniaml Hospital strongly believe in preventative medicine. WE have developed puppy, kitten, dental and geriatric wellness plans. We offer screening for heartworm disease, the feline leukemia virus, and many other disorders. A full line of heartworm preventatives; flea and tick products, specialty diets and other pet supplies are available to meet our patient's needs. At High Spring Animal Hospital, we are committed to offering the best possible care for your pet. We have modern on-site laboratory, radiological, surgical and anesthetic equipment for rapid and accurate patient evaluation and treatment. We also frequently consult the many specialists on the Faculty of University of Florida College of Veterinary Medicine. At High Springs Animal Hospital, we treat your pets like the valued family members they are. 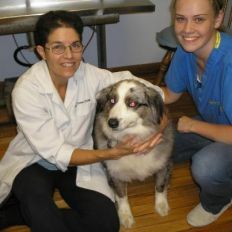 "I have been bringing my pets to High Springs Animal Hospital for many years. The staff is friendly and knowledgable and the prices affordable. I feel they really care about my pets."